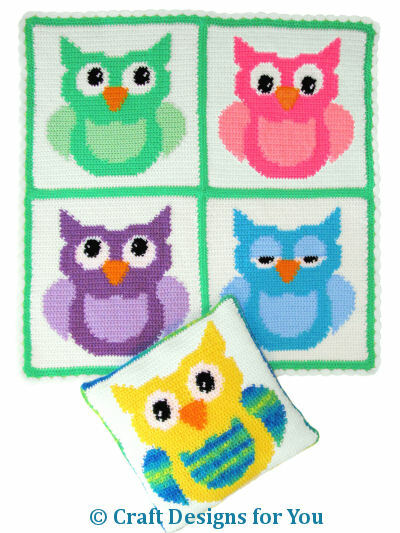 Bright and happy owls that are just perfect for Baby! Darling details such as sleepy and inquisitive eyes! Made using easy-to-crochet squares in single crochet following color-change graphs. Blankie is 34” x 34”, and the pillow fits standard 16” pillow form. Uses worsted-weight yarns.